Happy Cyber Monday!! Hope everyone had a fabulous holiday weekend and bought lots on Black Friday and Small Business Saturday! 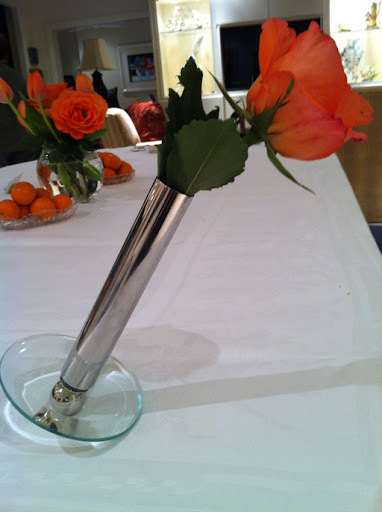 I thought this vase was so clever and I could not resist showing it to you! This is a great gift to give for a housewarming party or as a hostess gift. I love how modern this vase is. This particular vase comes from Halls in Kansas City but I have seen other versions of this vase at the Nasher Sculpture Center store in Dallas, Texas.